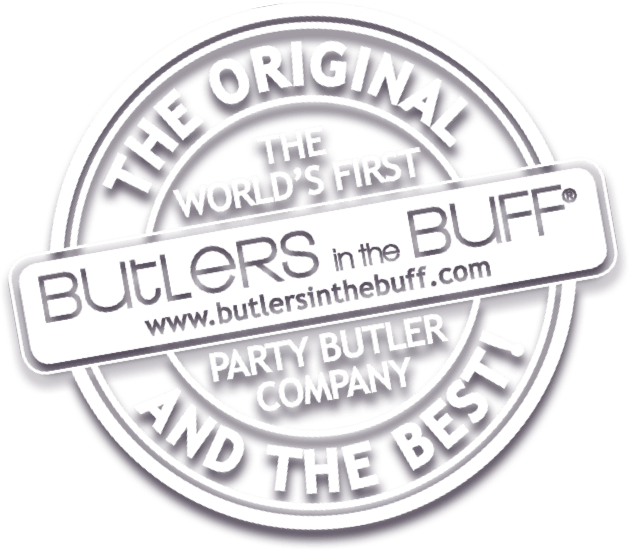 Butlers in the Buff are party butlers! They are hand selected to be outgoing, fun and cheeky. They will man the bar, BBQ, serve your plated dinner and mingle with your guests. Trays and equipment are not provided, we at Butlers in the Buff send only fabulous, hunky servers to you. We supply only the butler, his little uniform and lots of smiles! Please have a private area for him to change into his uniform once he arrives. Butlers in the Buff are great for Bachelorettes, Birthdays, Bridal and Baby Showers, Pool Parties or just for fun. More inspiration can be found on our party ideas page. Not only will your Butler in the Buff serve your food and drinks, he will host your party games and even play them with you! Help yourself to our saucy bachelorette party games. All of our Butlers around the globe sport our branded aprons highlighting their gorgeous bottoms along with a crisp white collar, cuffs and black bowtie. Your Butler can also wear snug fitting black boxers under the apron, if bottoms on display is too risque. Could be an option for a more dressed up look. Themes – As long as you are able to provide the additions to the signature outfit, your butler is a very good sport and can wear any hat, sash, shorts etc. that you wish to add. Talk to our helpful bookings staff about your ideas! First get in touch with us for a quote, especially important if you are looking to book in areas further afield than our major metro areas. Our friendly bookings staff will answer all your questions and provide great ideas on how to use your Butler in the Buff. Don’t forget to look up our party ideas page for further inspiration. 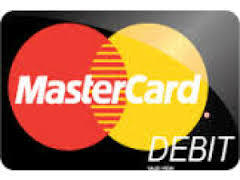 Payments are fast, 100% secure and easy. Balance – Balances for advance bookings are due 14 days before your event date. Please book early to avoid disappointment, peak periods can book up fast! Your butler/s will give you a courtesy call on arrival. (So we don’t spoil the surprise) We always aim to arrive 10-15 mins early. Butler/s will arrive dressed normally. Please provide a private place to change. A bedroom or bathroom is fine. Time to party! Relax and let your Butler/s top up your wine, bring you appetisers, take care of answering the door and host your cheeky party games. He’ll even do the dishes before he finishes! Tipping your butler is greatly appreciated. Tips are in cash between 15-20% is the suggested amount. Provided you are happy with the service of course. Can I touch my Butler? Appropriate touching during games is perfectly fine and of course having him lift you up or putting an arm around your Butler in the Buff for a photo is welcome! Greet guests on arrival – having some of our staff welcoming your guests as they arrive can be one of the most effective uses; they make a real impact and great first impression as your visitors enter. Party games – butlers are fantastic to get involved in your party games. Serve champagne – perhaps let our staff serve champagne rather than the regular staff so they are distinctive and can circulate, topping up your guests’ glasses. Mingle with guests – other than their attractive appearance, another facet to our staff that sets them apart from regular service staff is their magnetism and wit.Mingling and chatting with all your guests, they will charm them with polite conversation. Not just a pretty face – Although our staff are fabulous to look at and bring sparkle to any occasion they attend, you can make use of more than just their appearance should you wish to. Consider how to use the qualities that our butlers have to make your event extra special and memorable for your guests. They are all fit, young, charismatic, and courteous – they know how to impress.